During wartime February, 1917, the Spanish artist Picasso visited Rome for the first time along with his friend, the writer Jean Cocteau, and the two stayed at the Hotel de Russie in via Babuino. Although it was a short stay in the context of a life lived 92 years, the Italian sojourn is said to have been decisive for Picasso’s development as an artist as well as for his personal life. 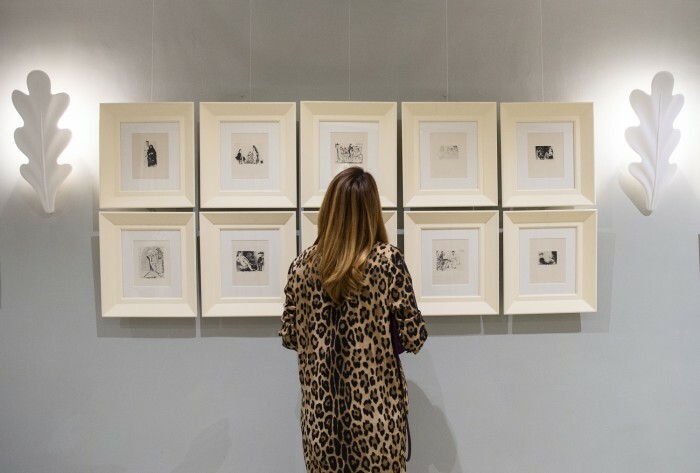 An exhibition of prints this month at the Hotel de Russie marks the 100th anniversary of this visit. During a stay that lasted a little less than three months, Picasso enjoyed the heritage of the city, going to see the Michelangelos and Raphaels, and hanging out on the Spanish Steps. He and Cocteau took tips to Florence, Naples and Pompeii. 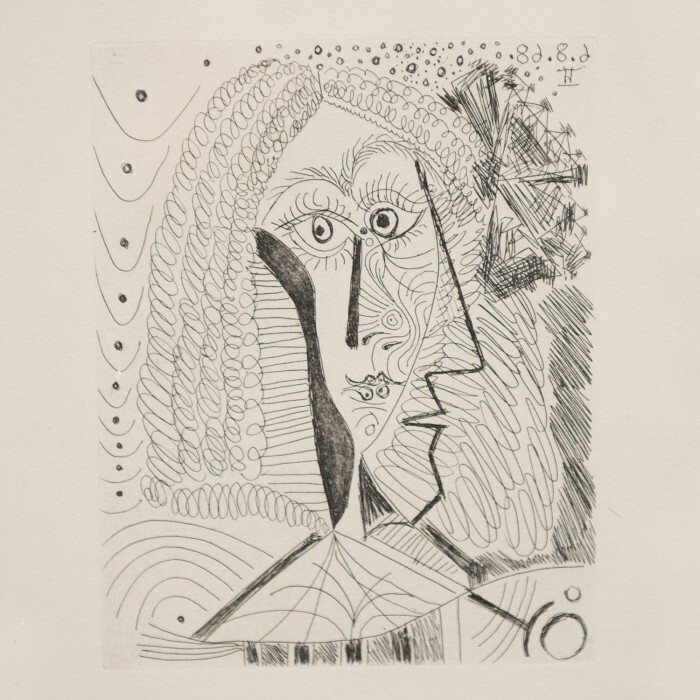 Picasso immediately became part of Rome’s vibrant artistic scene, where the 36-year-old bachelor found a city still alive with artistic ferment of the Futurist movement. Here, war was less present than in the Paris he’d just left. He had his own studio in Via Margutta, where Cocteau recalls that there was “a small chest contain[ing] the maquette for Parade, with its houses, trees and shack.” Indeed, it was here that Picasso designed the stage set for the Russian ballet which would later be premiered in Paris. Rome was also essential to his personal life: here, he met the Russian ballerina Olga Koklova, isolated from her family due to the Russian revolution, who would become his first wife. (In the painting of 1918 he pictures her in Spanish garb, welcoming the Russian into his family). This encounter was hot on the heels of Picasso’s being dumped by his previous mistress, Irène Lagut – the trip to Rome was in fact supposed to be for their wedding. 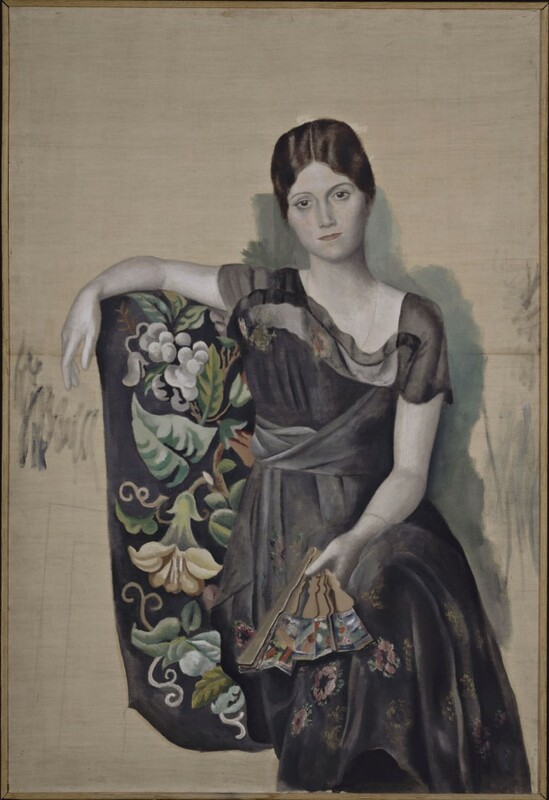 Olga represented a change in Picasso’s life, him settling down and soon becoming a father. 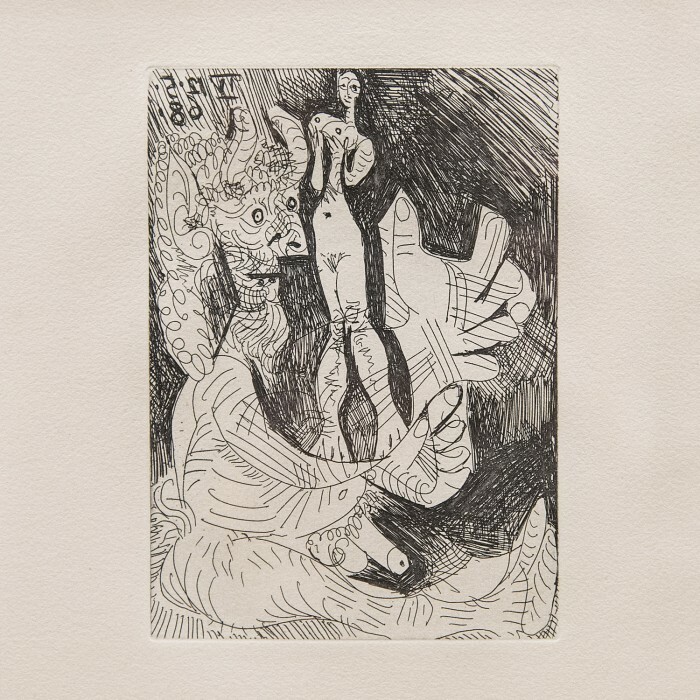 From January 24 to February 25, 2017, the Hotel de Russie’s gallery space will display the 66 works that make up the series “La Célestine” – an outstanding book of dry-points, etchings and aquatints that illustrate a satirical tragedy written in 1499 and attributed to the Spanish author Fernando de Rojas. This was one of the most important works of Spanish literature, translated through to the modern day. Picasso illustrated a French translation of 1968 in 400 editions; this is the 97th copy. The illustrated scenes do not follow the narrative; rather they proceed autonomously and include, as in many other works by Picasso in that period, an extensive number of literary and mythological references that focus on the themes of eros, jealousy and death. In the month of February, the hotel offers the ultimate Picasso experience: a stay in the Picasso suite if one chooses; a visit to the exhibition; and a personalised itinerary of Rome through the eyes of Picasso. In the tour, visitors will discover the sites of the city that he treasured when he was preparing to stage the first ever Cubist ballet, including local cultural spots such as Via Margutta, Piazza di Spagna, Trinità dei Monti, Villa Medici, and Piazza Barberini. To complete the experience, the hotel offers food, drink and staying in theme. 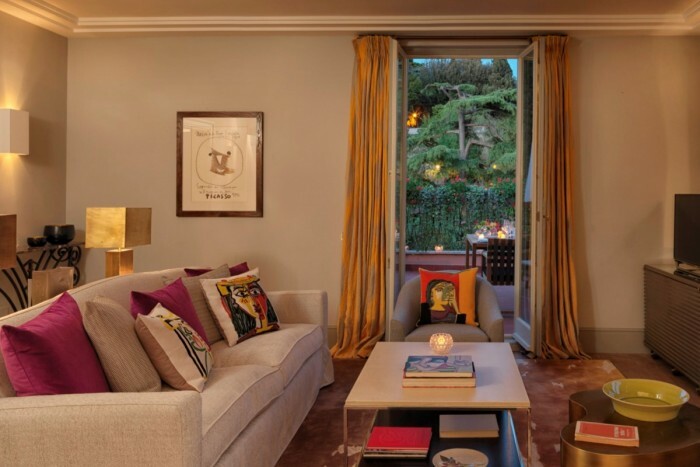 The absolutely gorgeous recently restored Picasso Suite is decorated in bright yellow and purple tones, with lithographs and Picasso folio books, and handcrafted tapestry cushions with the Portrait of Dora Maar and other popular works. 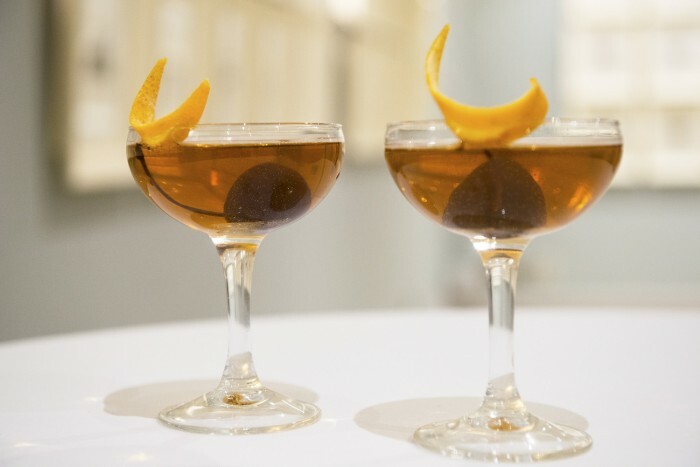 Chef Fulvio Pierangelini has invented a Picasso’s Tortillas Nicoise and the special Chocolate Charlotte, while the Stravinskij Bar offers Parade Champagne, inspired by the art of Picasso in its colours and ingredients. To visit the exhibit please contact the hotel.